Pride Learning Center awards Archives - Pride Learning Co. PRIDE is nominated for the Red Tricycle 2016 Award! We are so proud to have been nominated for the Red Tricycle’s 2016 Totally Awesome Awards, under the category of Los Angeles Area’s Bright Classes for Kids with Special Needs. From September 1 – September 30, 2016, parents across the nation will vote for the Finalists in each category. 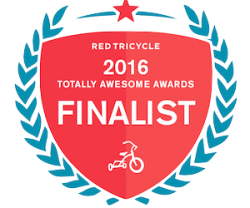 The winners of each category will be named Red Tricycle’s Totally Awesome Award 2016 Winner! Winners will be announced on October 10, 2016. Every vote makes a difference and supports PRIDE’s future. We need your votes to win so please help us get the word out and VOTE for us!